Social Denter: Why me!!!! Why not me???? Why me!!!! Why not me???? Few days back I was thinking that life is a phenomenon which has been tried to be explained by all the thinkers of the world. I had been out of blogging since long. Boots n laces had been missing me and about social denter, thought process never stopped. All curious like me tried in their own way to explain life. But this is what I think “life is just a sine wave. There is crest and trough”. But this is something what everyone thinks ideal. This is one of the biggest misconceptions about life I think. Perhaps I did not know what was going to be in my way in near future. The time kept on creeping and the other side of picture came in front. The days changed. The sorrows got converted into the first drops of rain. The fresh air of positivity seemed prevailing the new arenas of thought and conscious. 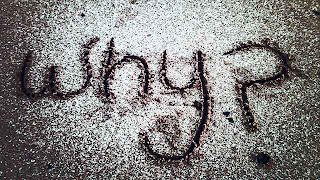 But I hardly gave a thought to the word “why” at this stage. Because I was rather I am preference oriented and why should I be bothered about bad days when I am good!!! The thing is that we call practicalities ideal and idealities have been being tried to be made practical. But why don’t we give a thought that achieving ideality is impossible. 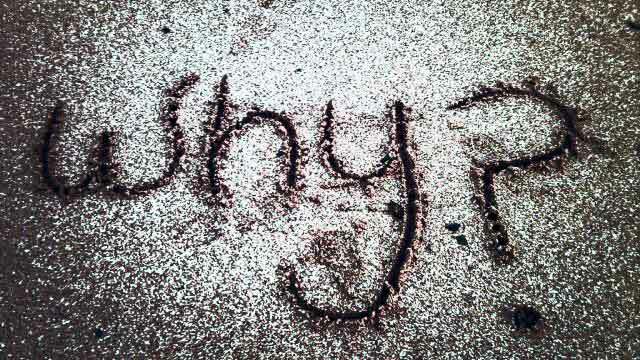 So instead of regretting at “why me” we must be bothered about “why not me”. Give a thought, call “why not me” and then give a better widen forehead to all the hardships of life and be a positive personality. A very thought provoking post. I would like to add that sometimes we should accept life with questions. And, God blesses us with so many other blessings in the exchange of the problems we face. So, we should count n cherish them as well with a word of Thanks. In fact, I would like to exchange the blog links with you under 'Blog Roll' or 'Blogs I like to Read'. How about the idea?